My DL 1000 was barely tight on 1 exhaust valve at 30,000 miles, the first check I did. Shimmed it and left the others alone. It probably would have been fine without adjusting. At 50,000 miles, the same tight valve that was re-shimmed had opened up a little, about half the clearance I had shimmed it tighter at the first check (and why I think it could have been left alone the first time). I never checked it again and it is over 100,000 miles now and running fine. I too have a quad. A Honda Rincon. On this machine, I checked it at 1,000 miles, past the factory 600 mile recommendation and it was in spec. At 5,000 miles I checked again (mostly because it is so easy, not the case on a DL engine) and the intakes were very slightly loose. It now has 12,000 miles (a lot for an ATV). Most quads use rocker arm valve trains and they tend to move more than the shim under bucket valves that most high rpm bikes use. A modern shim under bucket valve train wears very little. I recommend a check around 30,000 miles and if they are anywhere in spec, put it back together and think about other issues like global warming or meteorites hitting your garage. There are many tales of screwed up valve servicing on these bikes and none I am aware of that have burned a valve seat. Loose valves will tick if you have a good ear. Tight valves will be silent, but the bike will typically pop on deceleration and show signs of slow starts when hot. Last edited by STCorndog; 08-11-2018 at 10:27 PM. I'm actually looking forward to my first valve check / adjustment here in a few k. I have 11k now, 3 months old (2018 ). The tapping at the top of the engine when warm at certain RPM ranges is making me insane, even though as near as I can figure, it's "normal" for the 1000 engine. I'll feel better once I get the valves checked and get a TB synch. I certainly wouldn't avoid doing it! 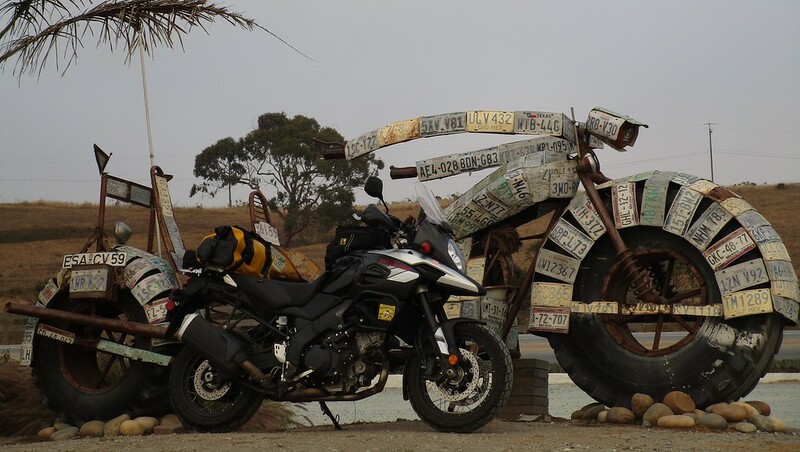 Thought you had an Africa Twin? Big B, HokiesRWee, Spec and 1 others like this. I checked/adjusted my 2014 valves today for the first time at 23,000 miles. One exhaust was out of spec (tight) by 0.01mm. One intake was in the middle of spec. Six were on the tight edge. I adjusted 7 to the looser end. My 2014 vee has about 16k mi on it and I feel they should be checked. I'm not sure I want to take on this project myself mainly because I don't want to be without the bike for long while I figure things out. Does anybody know what the approx cost would be for either a dealer or mechanic to complete the work? $600 seems to be the going rate from the threads I've read. The hardest part is getting to the valves, taking the tank off and the various bits. The first time is the worst but it gets easier! I work on my own bike thank you. Take my time and make sure it's done right. I took mine to dealer for first valve check at 26k km's. 3 of the valves needed adjustment. They also rebuilt my leaking fork seals at the same time, then charged me $1800.